The lace die is Joy! 6002/0316 it makes a gorgeous edge. Happy Birthday stamp is from Lili of the Valley. Stickers and ribbon have also been added. 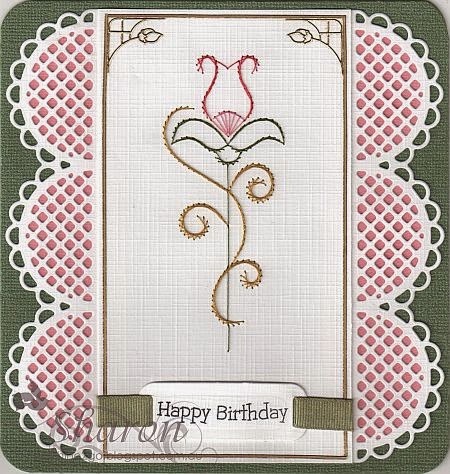 I really enjoyed creating this birthday card and I hope that you like it also.